A hot July afternoon beside the river Thames at Marlow is always to be savoured. Panting dogs, bored children, enthusiastic pensioners, white linen-clad ladies, zoom lenses and bulging picnic hampers in evidence. We are gathered to see HM Queen’s procession of Swan Uppers! England is full of quaint customs, some funny and others frankly bizarre. Some with origins lost or simply re-invigorated to suit modern tastes and bank holidays. Swan Upping is neither. Firmly routed in the 12th century, it is both necessary for conservation of mute swans and acts as a gentle reminder of just who owns them. 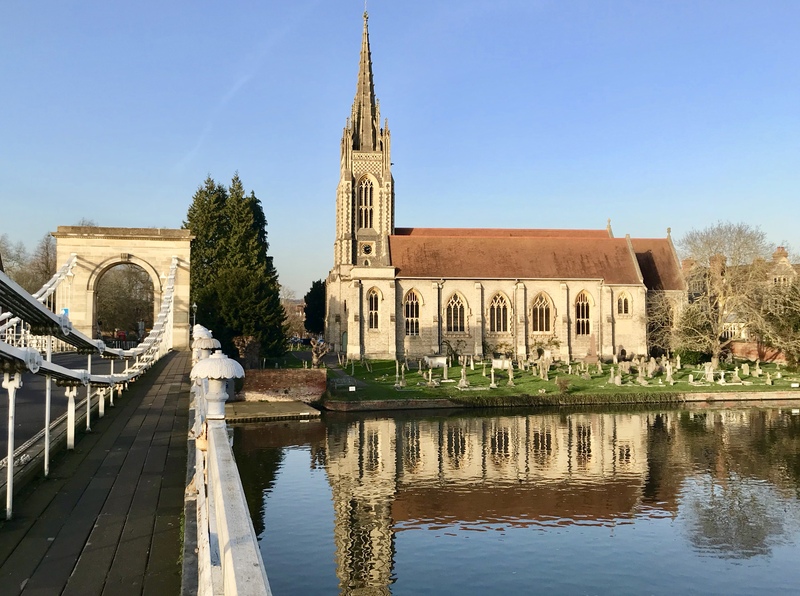 A hot July afternoon beside the river Thames at Marlow is always to be savoured. Panting dogs, bored children, enthusiastic pensioners, white linen-clad ladies, zoom lenses and bulging picnic hampers in evidence. 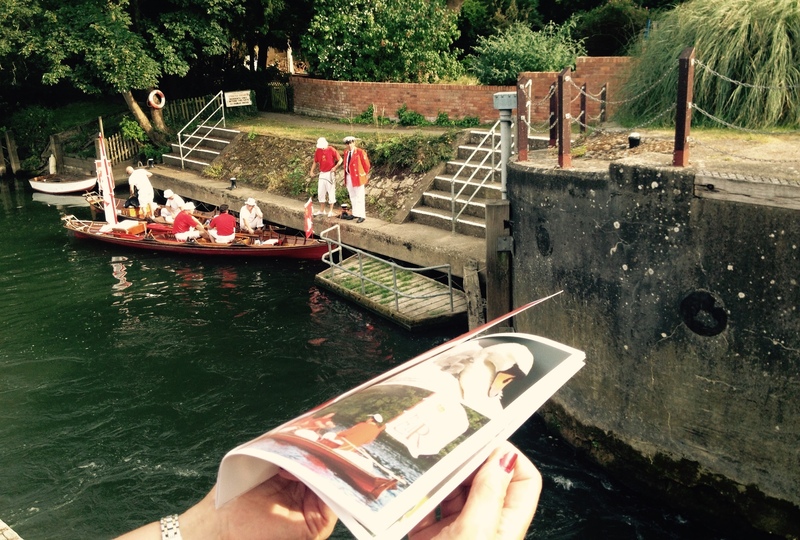 We are gathered to see HM Queen’s procession of Swan Uppers make their way upriver on their five-day journey from Sunbury to Abingdon Bridge in the counties of Middlesex, Surrey, Buckinghamshire, Berkshire and Oxfordshire to record the swan population on the River Thames. This historic ceremony dates from the twelfth century, when the Crown claimed ownership of all mute swans – especially the cygnets, a prized dish at banquets and feasts. As with the deer from the great parks and forests, punishment for poaching Crown property was harsh, punishable by death by hanging. No longer eaten, today the Crown retains the right to ownership of all unmarked mute swans in open water, but The Queen only exercises her ownership on certain stretches of the Thames and its surrounding tributaries. This ownership is shared with the Worshipful Company of Vintners, one of the “Great Twelve” livery companies of London, and the Worshipful Company of Dyers, who were granted rights of ownership by the Crown in the fifteenth century. The Queen’s Swan Uppers wear traditional scarlet uniforms and each boat flies their flags and pennants. On passing Windsor Castle, the rowers stand to attention in their boat with oars raised and salute “Her Majesty The Queen, Seigneur of the Swans”. With a cry of “All up!” the signal is given for the boats to get into position. Once rounded up on the water, the birds are taken ashore to be weighed and measured to obtain estimates of growth rate and the birds are examined for any sign of injury commonly caused by fishing hooks and line. Swans are not afraid to peck, so not sure I’d be that keen to bundle this lot into a boat. A traditionalist at heart, I love seeing ceremonies re-purposed to chime with contemporary life. Never mind the Swan Uppers! For more Chilterns summertime inspiration or head over to VisitChilterns.co.uk for ideas for days out in Marlow. 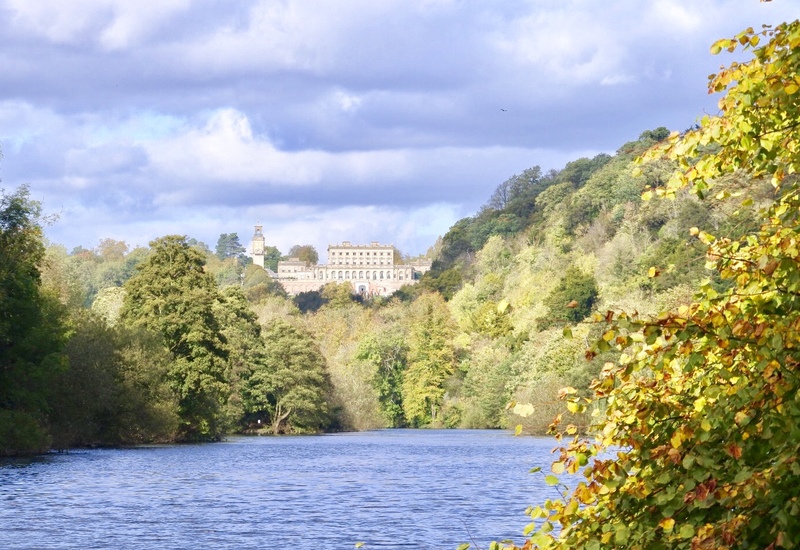 Cliveden Reach, between Cookham and Boulter’s locks, the fabled stretch along the River Thames is worth packing a picnic for. Swan Upping begins on Monday July 16th 2018.